Corporations are channeling unprecedented amounts of secret money into our elections. Even worse, they’re doing it with our savings. Help stop retirement fund manager Vanguard from channeling our savings into secret-money politics. From oil companies to defense contractors, many big corporations that don’t disclose their political spending depend on investments from Vanguard, which represents the retirement savings of millions of American families. Tell Vanguard: Keep our retirement savings out of secret-money politics. The funds Vanguard manages represent the savings of millions of regular Americans and a large share of the U.S. stock market. If they vote in favor of transparency, big corporations will have to start disclosing their political spending, shedding some light on dark money in our elections. Not only is taking a stand against Citizens United secret spending the right thing for Vanguard to do, it’s also the responsible thing to do in order to protect its customers’ retirement savings. When corporations use secret money to influence our elections, it’s a short-sighted investment that leads to short-sighted politics, from government shutdowns to failures to regulate Wall Street recklessness. Supporting policies that ensure long-term, sustainable growth instead of short-term gain is what’s best for our economy, retirees, and investors with Vanguard. Justice Kennedy’s majority opinion justifies the Supreme Court’s decision by pointing to the Internet. With the advent of the Internet… Shareholders can determine whether their corporation’s political speech advances the corporation’s interest in making profits, and citizens can see whether elected officials are ‘in the pocket’ of so-called moneyed interests. permits citizens and shareholders to react to the speech of corporate entities in a proper way. This transparency enables the electorate to make informed decisions and give proper weight to different speakers and messages. Yet, corporations are not required to make the disclosures to shareowners as Justice Kennedy seems to have believed. How can we, as shareowners, hold corporate managers accountable when we do not know what candidates or measures they are supporting? Send a message to Vanguard urging them to stand up to secret political spending. Yes, Vanguard reports on how they voted corporate proxies, as they are legally required to do, but they don’t do so in a format that helps investors see voting patterns quickly and clearly. Compare Vanguard’s self-published record with a graphic analysis by Proxy Democracy (somewhat dated). According to Proxy Democracy, Vanguard’s activism score for “political influence” was 0.6 out of a possible 100. Take Action: Use the convenient link set up by CalPIRG to send a message to Vanguard. Tell Vanguard to Keep Retirement Savings Out of Secret-Money Politics. California Public Interest Research Group, Inc., 1314 H St., Ste. 100, Sacramento, CA 95814, (916) 448-4516. Hat tip to Mark Dempsey for alerting me to the CalPIRG campaign. 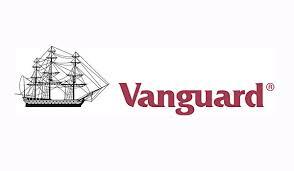 “Vanguard widens lead over Fidelity in managing retirement assets.” Investment News. May 21, 2015. “Corporate Political Spending and the Mutual Fund Vote.” Center for Political Accountability. December 19, 2013.